It’s turning out to be a great year for speculative fiction in translation (SFT). And though as of this writing (June), I’ve already catalogued 51 speculative novels or collections and 30 short stories. Compare this to the end of 2017, when we had a total of 56 novels/collections and 68 short stories (and I’m sure I missed some). 2018 is on track to surpass that, since new titles are always popping up when you least expect it (from small and large publishers alike). It seems like each year, publishers are giving us more SFT to read from countries like France, Iraq, Argentina, Japan, Finland, Israel, and many others. After several decades of speculative fiction flowing mostly from the US and UK into other countries, the tide seems to be turning and people who grew up reading translations of Anglophone science fiction or fantasy have been inspired to become translators themselves. 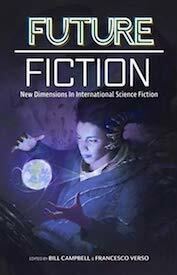 Plus, more presses and magazines are open to SFT, and we now have two online publications that actually specialize in international speculative fiction (Samovar Magazine and Future Science Fiction Digest). The short stories we’ve gotten so far also come from a wide variety of sources: for example, Latin American Literature Today featured science fiction from Mexico, Bolivia, and Argentina in its May issue; Samovar Magazine brought us Yiddish and Pashto SFT, and Clarkesworld Magazine continues to print one piece of Chinese SFT in every monthly issue. World Literature Today and Asymptote Journal also featured international speculative fiction in their respective April issues. And let’s not forget all the excerpts of SFT that have found their way into publications such as Granta (The Emissary) Guernica (Anna), and The Nomadic Journal (The Abolition of Species). This work of Argentine meta sci-fi won the 2018 Best Translated Book Award, and it certainly deserves that recognition. A mind-bending meditation on the science fiction of our lives and in our lives, this book soars into the realm of metaphysics, homing in on how reality itself is created and by whom. This book, Fresán’s most overtly speculative creation, is, in one sense, the story of two Jewish cousins from New York who are an integral part of the flourishing science fiction community of the 1950s and 60s. They both fall ecstatically in love with an unnamed girl whose migraines result in her being turned into a transmitter for a distant alien species. This allows her to move through infinite alternate universes, tinkering with reality in order to search for that perfect version in which the three of them can live together happily. But that’s just the plot. On another level, The Bottom of the Sky is a meditation on writing as an act of creation, the author as God, the ways in which authors change the realities of the stories that they write in order to get their characters to do certain things and arrive at a certain conclusion. It’s also about the science-fictional aspects of religion and 9/11 and invasion and revenge. A surreal work of biohorror that combines far-future genetic engineering, evolutionary theories, and scientific heresy, Sisyphean came together, according to the author in an interview with Weird Fiction Review, to form what he calls “a work of installation art on the extremities of labor.” Together, the four long stories and various illustrations tell the stories of barely-recognizable humans struggling to work and survive under extreme conditions on an unforgiving planet. 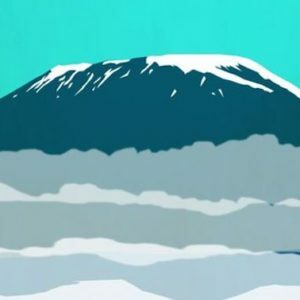 If we read each section as a window into succeeding generations, or as the various experiences of actualized life-forms, we see that each community struggles with telling the story of its origins and development. 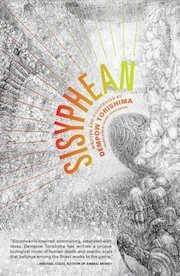 Sisyphean has been getting some well-deserved attention recently, including an enthusiastic endorsement from American author of New Weird and eco-horror, Jeff VanderMeer. An editorial collaboration between an Italian author and publisher (Francesco Verso) and an American editor and publisher (Bill Campbell), Future Fiction showcases some of the best SF and from around the world, all originally published by Verso’s press, Future Fiction. Represented here are India, Greece, Zimbabwe, China, Italy, the US, Canada, the UK, Russia, Mexico, Nigeria, and Cuba. Of these twelve stories, four are translations: “Creative Surgery” by Clelia Farris (translated from the Italian by Jennifer Delare), “The Quantum Mommy” by Michalis Manolios (translated from the Greek by Manolis Vamvounis), “Tongtong’s Summer” by Xia Jia (translated from the Chinese by Ken Liu), and “Grey Noise” by Pepe Rojo (translated from the Spanish by Andrea Bell). Included are pieces about the future of robotics, gene modification, consciousness transference, and more. 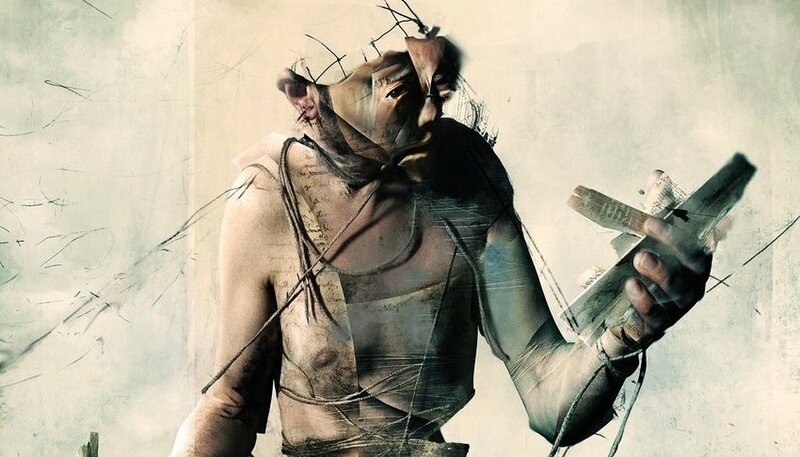 The book I’m most excited about in the second half of 2018 is Nexhuman, a work of Italian cyberpunk about cybernetics, prosthetics, robotics, and transhumanism. 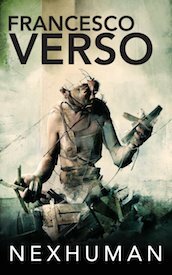 Verso engagingly weaves together these issues, taking contemporary concerns about landfills and artificial limbs to a logical, if disturbing, conclusion. As Verso has said in an interview on the “SF in Translation” podcast, he first developed the idea for this novel after seeing a little boy sitting in a trashcan outside of a flea market, lovingly caressing a life-sized doll. This scene inspired him to think about what it would mean for a human to fall in love with an android (“nexhuman”) and do anything to piece her back together when other humans treat her like literal refuse. Over the last few decades, Anglophone readers have only been able to get their hands on about a dozen Italian speculative novels and collections (including Samuel Marolla’s Black Tea and Other Tales and Giorgio De Maria’s The Twenty Days of Turin). It’s time for more Italian SF to make its way into the hands of American readers, and Nexhuman is an excellent book for the job. We also have four exciting story collections to look forward to in the second half of the year (all are due out in August and September). From World Weaver Press comes Solarpunk: Ecological and Fantastical Stories in a Sustainable World, a hopeful collection of stories from Brazil and Portugal, translated by Fabio Fernandes. Next is the much-anticipated Apex Book of World SF 5, with Spanish author and editor Cristina Jurado as guest editor and Lavie Tidhar continuing as series editor. If it’s anything like the previous four collections, it’ll be a treasure chest of strange, terrifying, thought-provoking, and ecstatic stories from around the world. A new anthology of Chinese science fiction is coming out from Columbia University Press (following 2016’s Invisible Planets: Contemporary Chinese Science Fiction in Translation, edited and translated by Ken Liu, from Tor). And finally, we’ll be able to hold in our hands the first anthology of speculative fiction in translation from Israel; bringing together the best contemporary SF from Hebrew, Russian, and English, Zion’s Fiction will introduce American readers to the rich but little-known SF tradition that has flourished in this tiny country in the Middle East. Japanese SF, on the other hand, is widely available in the US, thanks in large part to Haikasoru, Kurodahan Press, and Vertical, Inc. (and now also the University of Minnesota Press). In the second half of the year, we can look forward to Haikasoru’s release of The Thousand Year Beach (about an AI-run resort overtaken by a swarm of spiders) and the seventh volume in the Legend of the Galactic Heroes series (a philosophically complex space opera set centuries in the future). Tor will make another splash with Cixin Liu’s new novel in English Ball Lightning, which will likely fly off the shelves because of the success of his Three-Body Trilogy (which was outstanding and deserved every bit of its Hugo Award). If you want to explore further, you can find SFT in 2018 in a wide variety of places, including presses like Haikasoru, Open Letter, New Directions, Kurodahan, Apex Publications, Small Beer, and Tor Books. Chicago Review Press has been releasing new translations of the Strugatskys’ novels, while the University of Minnesota Press is doing a “classics of Japanese SF” series. 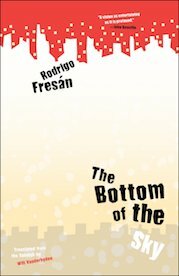 Restless Books is churning out Cuban SFT, and Black Coat Press continues to bring us translations of 19th- and early-20th-century French pulp fiction that ranges from fantasy to psychological horror—translations that are done, in fact, by Brian Stableford, a prolific UK science fiction author in his own right. For early SF classics, you’ll want to check out Wesleyan University Press’s excellent list. There’s much more SFT out in 2018 than I had space to discuss here, so go off and explore this wonderful world of international speculative fiction that’s right at your fingertips. Your brain will thank you.